Imagine that you own a company that makes cakes. You decide to invest in a machine that costs £1 million. £1 million to make. An expensive cake! Or what if you own a delivery company and you decide to spend £10,000 on a new van. 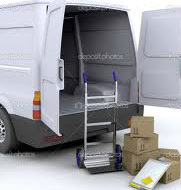 If you only deliver one parcel in your new van, you could say that it cost you £10,000 to deliver that parcel. Economies of Scale is when a business uses the size of something to help it actually save money. So, using the above cake example, if you actually made one million cakes with the new machine, each cake would really only have cost you £1 to make (I did this by dividing £1 million by 1 million cakes - what? You knew that? Ok, I'll shut up then!). Just so we're all certain then, if I use the delivery company example, If your new van actually delivered 10,000 boxes a year, you could say that each box only really cost you £1 to deliver. These cost savings by doing more are Economies of Scale (Economies meaning 'to save money', Scale meaning 'the size'). PS. The clever people amongst you (that's you there) will now argue with me and say "yeh, but you need ingredients to make the cakes so that will add to the costs". To you people, I say "Well done smarty pants, but there are even economies of scale to be had when buying the ingredients, as you will probably be able to buy them cheaper in bulk than a small cake shop. The small cake shop would only buy ingredients in small quantities, so it will end up costing them more per cake". So there!